The old tradition is that Eagley got its name from eagles nesting on the cliff, but it is thought more likely that the cliff gave its name to the district when people referred to 'high cliff' or 'ay cliff'. It is mentioned as Eccliff in the Halliwell Rate Book, but is subsequently recorded as Eagley in the Quarter Sessions Records. The area was known for some time as Eagley Bridge. Hough Lane was part of the Bolton to Blackburn road until the new Turnpike was built in 1797. At the junction of Hough Lane and Darwen Road there was a guide post, which was in fact a stone mileage post. It is believed to be built into the wall of the public garden on this junction, the incised faces being covered by stonework. There was a school in Eagley from 1794 known as Eagley Bridge School, which comprised a school and house and was located at the bottom of Hough Lane on the south side. It is now a private house. 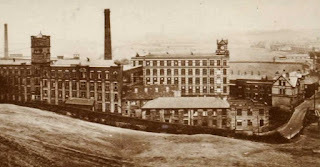 The school behind Eagley Mill was built by the mill (Messrs Chadwick Bros.) in 1851 and extended in 1870 to accommodate together with Eagley Bridge, about 500 pupils. This school was higher than the mill yard, and there was a tunnel from the yard into the school cellars. It is likely that this was used by children at school who worked as 'half-timers' in the mill. This tunnel is believed to have been bricked up around 1900. There was a day school at Toppings on Darwen Road used also by the Methodists as a Sunday School, which was erected by public subscription. This is also now a private house. At the top of Hough Lane, on the site of the public garden, was a smithy and a Dame School. Half way up Hough Lane on the left-hand side was a wooden hut used as a Lads' Club, with a reading room for the older village people. This site is now occupied by bungalows. 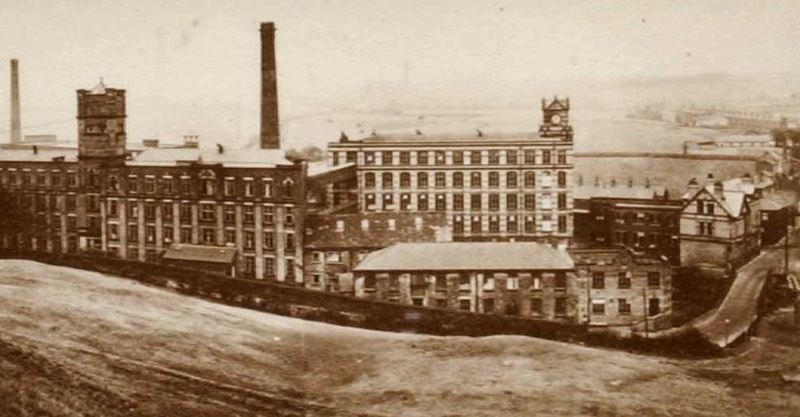 Downstream of Eagley Bridge was a ford, and on the north bank was a paper mill and a foundry. Eagley Industrial Co-operative Society leased land adjacent to Eagley Bridge School on Hough Lane in 1874, and built premises which were their central shop, including butcher, grocer and tailor with a large upstairs room. The original premises were in the clog shop across the road which opened in February 1859, eight months before Bolton Co-op. They had three branch shops, one at 469 Darwen Road, one at 209 Darwen Road, and one on Eagley Bank which opened in the 1920s but only lasted a few years. There were two public houses, the Spread Eagle, which is still open, and the Black Boy, now closed. This latter one was located on Hough Lane on the right at the junction with the Clough.